Do you know how to play YouTube in Background iPhone? We all know that YouTube is a good app for video entertainment. When you switch to other apps, YouTube will automatically get paused. Under this circumstance, how to play YouTube videos in Background or how to play YouTube with screen off iPhone? Next, let’s learn how to play YouTube in Background iPhone and how to listen to YouTube with screen off. To play YouTube in Background iOS means you would like to listen to music on your device. 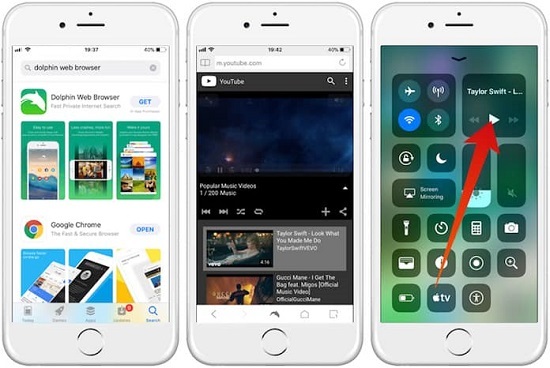 To fix how to play YouTube app in Background iPhone, you need some small tricks. Safari is a helpful tool for you to actualize how to play YouTube app in Background iPhone. 1. Open Safari and enter YouTube.com. 2. Click on any videos you want to play and tap the Play button. 3. Tap on the Home button and video will automatically pause. 4. Swipe up from the bottom to enter Control Center. 5. You can see the video you just played on Safari. 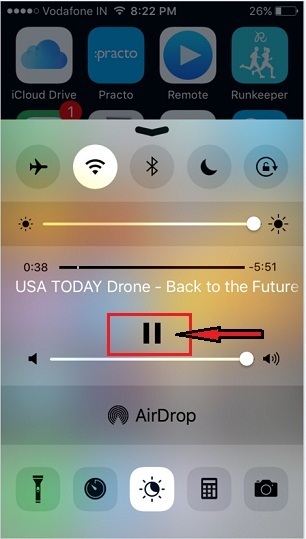 Press the Play button to listen to music in Background iPhone. 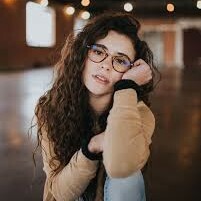 In fact, this way to listen YouTube audio is not very convenient, it’s better for you to record any YouTube audio to your iPhone for listening. This is how to play YouTube app in Background iPhone. Simple five steps, you can enjoy YouTube videos in Background. Some people enjoy the habit of listening to videos when they are in travelling or taking a bus. However, for YouTube app, it is no option for listening to YouTube video with screen off. Though we introduced how to play YouTube app in the Background iPhone, but how to listen to YouTube with screen off is a different page. Here I would like recommend Dolphin browser for you. How to play YouTube with screen off iPhone via Dolphin browser? You might be looking for these steps below. 1. Download and Install Dolphin browser on your iPhone. Find the URL of YouTube video you want to listen to. 2. Copy YouTube video URL to the browser or you could simply visit YouTube.com to find videos you like. 3. Choose to play the video and then press Home button. 4. Open Control Center and tap on Play button. Now you fix how to play YouTube with screen off iPhone and you can listen to YouTube videos on iPhone. With bigger screen, it will be better to watch videos. To transfer YouTube videos from iPhone to computer will be a good choice. Any tool can help? Yes, Leawo iTransfer will be the key to transfer YouTube video from iPhone to computer. No matter for people have no idea of IT skills, they can easily and quickly how to operate Leawo iTransfer once they have it on their computer. Leawo iTransfer has won great popularity among iOS users for its great convenience offered for them. It can be used to backup any data like TV shows, videos, movies on iOS devices, delete unwanted or duplicated videos, contacts or songs and rename playlists. It is also superior in transferring data from computer to iOS devices, iOS devices to computers or iTunes. Anyway, it is one of best iOS file management tools. To transfer YouTube videos from iPhone to computer, you really need to count on Leawo iTransfer. Before you start to do that, please download YouTube video to your iPhone. You can go to YouTube official website to follow its instruction to download it. Now let’ learn how to transfer YouTube videos from iPhone to computer. 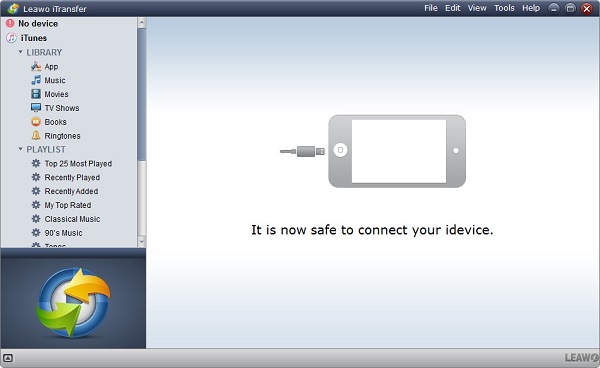 After downloading and installing Leawo iTransfer from official website: www.leawo.org/itransfer/, launch Leawo iTransfer and connect iPhone to computer via USB cable. In the right interface displays basic information about iPhone like capacity, serial number, etc. In the left sidebar show 12 kinds of categories like movies, TV shows, apps, photos and so on. Navigate to “iPhone > LIBRARY > Movies” in the left sidebar to view videos available on iPhone in the right interface. Press “Ctrl” and select videos you want to transfer to computer. Afterwards, right click the selected items to choose “Transfer to > My Computer”. Or you can click on the transferring icon in the lower right corner. A dialog jumps out to ask you to choose a destination folder. 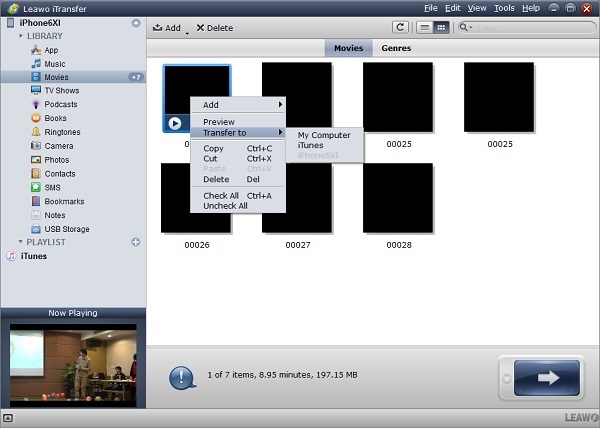 Check “Save to folder” and click “Change” to browse computer folders to save your videos. After that, choose “Transfer Now” to transfer YouTube videos from iPhone to computer. A progress bar will show you the process of transferring. In a few seconds, you can get YouTube videos from iPhone. To sum up, if you have no idea how to play YouTube videos in Background iPhone or screen off, you can read through this guide. I believe you will find answer. In addition, if you look for an easy-to-use iOS file management tool, you can take advantage of Leawo iTransfer. It can be said one of best tools to transfer any kinds of iOS files. Why not give it a shoot?